Emma McIntyre/Getty Images for KROQJosh Homme performing in Inglewood, California, a day before his Los Angeles show. The lead singer of Queens of the Stone Age appeared to kick a photographer at a concert on Saturday. Homme said he was “in a state of being lost in performance” and didn’t mean to kick her. 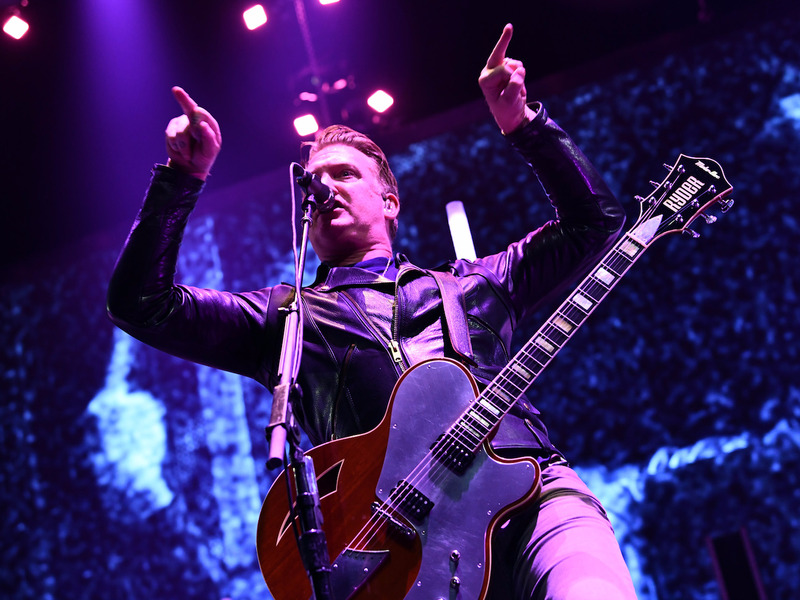 Queens of the Stone Age lead singer Josh Homme appeared to kick a concert photographer during his show, which sent her to hospital. Josh Homme, who founded the rock group, appeared to kick Chelsea Lauren in the head as she held up her camera to film him in Los Angeles on Saturday night. She added that she had a sore neck and a bruised eyebrow, but that she has since been discharged from hospital. After the show, Homme apologised to Lauren via Twitter, explaining he was “in a state of being lost in performance” and that he didn’t mean to kick her. This is not the first time Homme has been in trouble for his behaviour during one of his shows. In 2008, he threw a bottle at a fan after accusing him of throwing an item toward the stage.